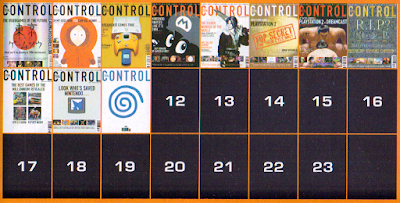 Even though issue 6 leads with the reveal of the PlayStation 2 and all the pre-rendered Emotion Engine stuff you’ll remember if you’re of a certain age, there’s still quite a lot of Dreamcast content. The news that the swirl will be blue in Europe is featured in the Reportage section, although the reason for this is incorrectly given as being because we Europeans "prefer blue over orange," and not because another company was already using an orange swirl as their corporate logo. 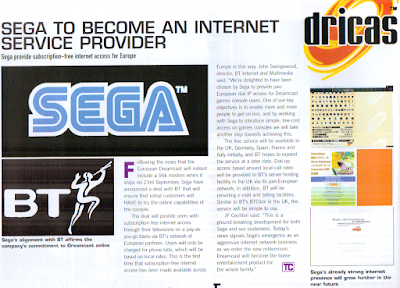 There’s a little snippet about Sega Europe lining up a sponsorship deal with London football club Arsenal (along with a pretty bad mock-up of an Arsenal shirt with a blue swirl on it), and the first news that PC RPG Silver (reviewed in this issue and receiving a score of 91%) would be making the jump to Dreamcast. 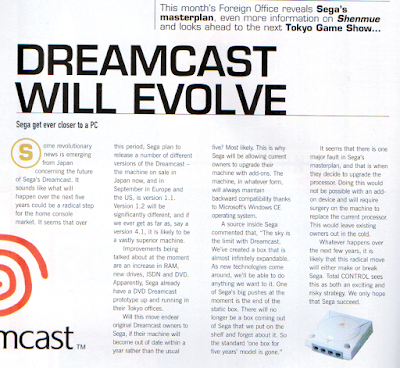 The Foreign office section is positively buzzing with Dreamcast news and the lead story is that the system will reportedly be upgradeable, meaning more RAM, hard drives, ISDN and DVD modules would become available though Sega. 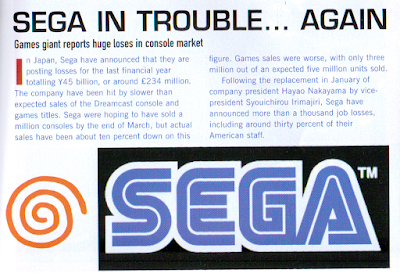 I suppose that kinda happened in some ways, but more through the fan community than Sega. 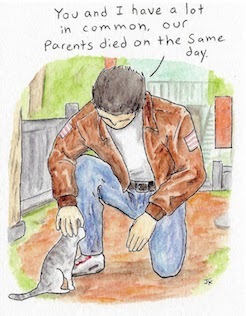 There are previews of Superspeed Racing and Dead or Alive 2, and Shenmue gets an update. 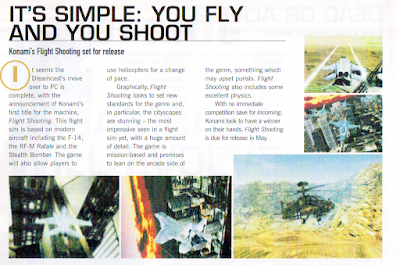 First shots of Konami’s Flight Shooting (Deadly Skies/Airforce Delta) are shown and there’s the tiniest little mention of Sega’s predicted showings at the upcoming Tokyo Game Show ’99. 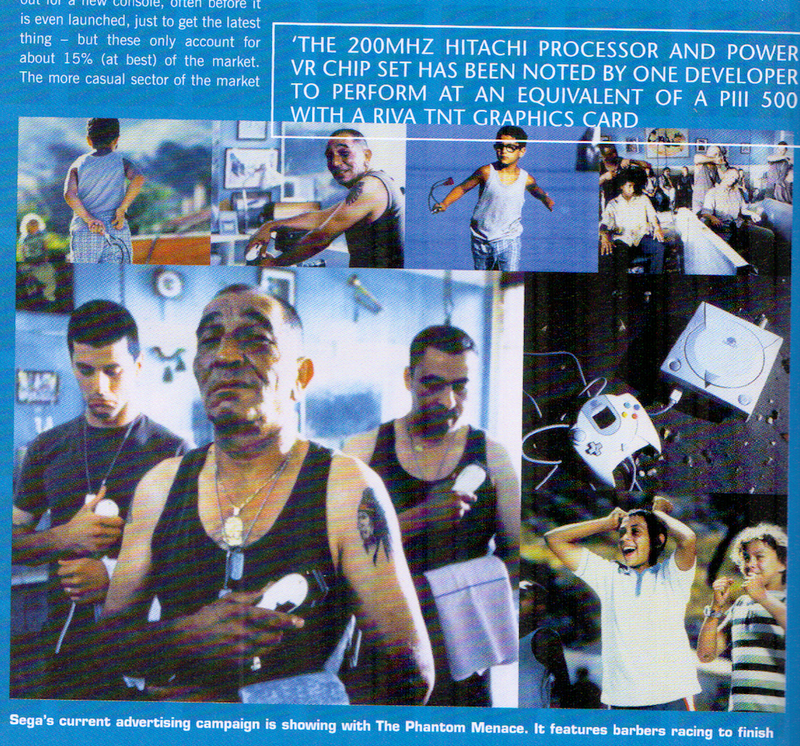 Other non-Dreamcast highlights include a massive PlayStation 2 reveal feature (mentioned above), complete with all those pre-rendered Gran Turismo and Reiko Nagase shots and a History of God Games article. 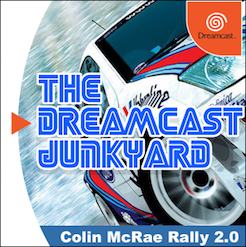 There’s an interesting look at fledgling N64 emulation on the PC and in-depth previews of V-Rally 2 and GTA: London 1969. Reviews include Beetle Adventure Racing (N64), Rollcage (PS1) and Superbike World Championship (PC). The main story dominating the cover of issue 7 is the whole Dreamcast Vs PlayStation 2 debate. 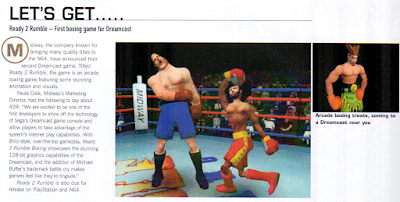 Using two sumo wrestlers to depict these two heavyweights was quite a cool idea, but it did nothing to help the Dreamcast. 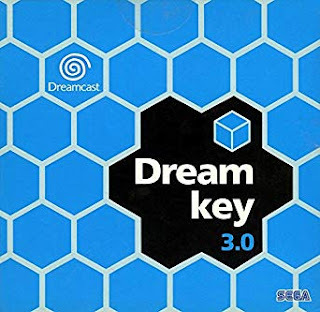 Furthermore, as it hit just months before the Dreamcast’s western launch it probably did a lot of damage, planting the seeds of doubt in many a gamer’s psyche. That said, the first proper feature is a six page Metropolis Street Racer spread, packed full of impressive images showing the accuracy of the in-game environments and includes an interview with Sarah Dixon from Bizarre Creations. It’s also worth noting that all of the images shown in this feature are from the alpha that we revealed here at the Junkyard several months ago, and include the vehicles sporting paint jobs that never made it into the final build. Once again, the Foreign Office import news section yields the majority of the Dreamcast content here, beginning with the first information on Midway’s Ready 2 Rumble. 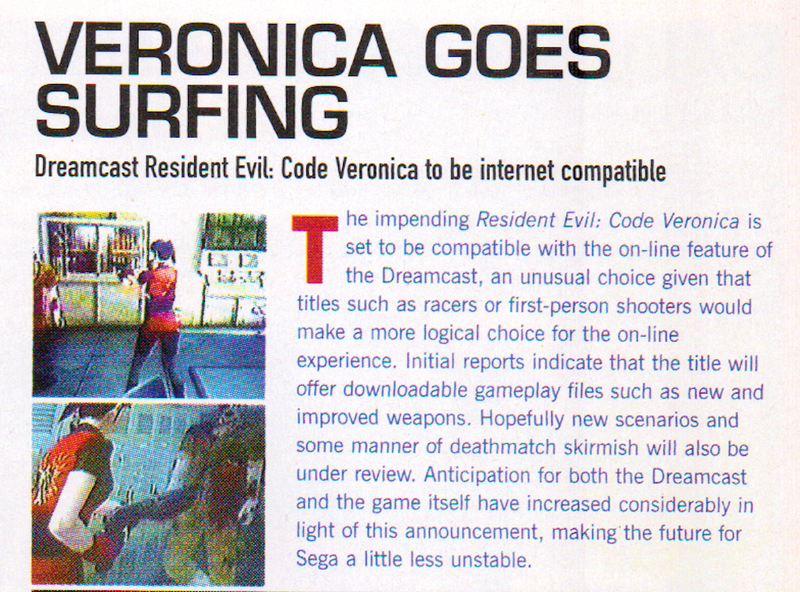 Alongside this, there’s a list of ‘confirmed’ titles coming to the Dreamcast in late 1999 and the most interesting listed are Alien Resurrection, Missile Command 3D, Croc, Ridge Racer Plus, NiGHTS 2 and South Park. 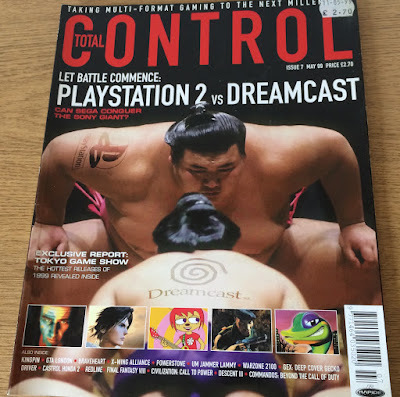 There’s an update on Blue Stinger, and the main meat of the section is taken up with the Tokyo Game Show ’99 report, part of which deals with the whole PS2 Vs DC story paraded on the magazine’s cover. 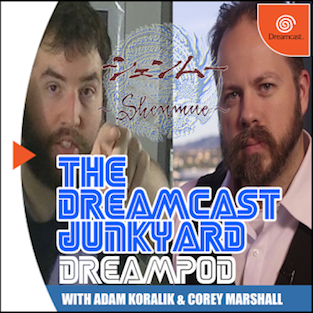 This is particularly interesting because it almost predicts the Dreamcast’s failure without even trying, and paints a rather alarming picture when discussing the complete lack of software sales the Dreamcast experienced in Japan during the months immediately after release. 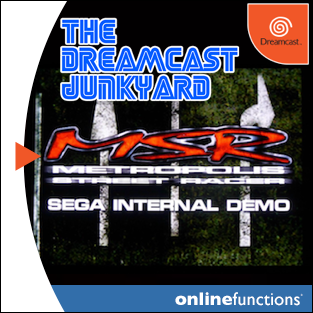 For example, Monaco Grand Prix was the highest selling game in the week 8th - 14th March 1999 with 13,693 sold. Meanwhile, Um Jammer Lammy on PlayStation sold 176,591 in the same period. 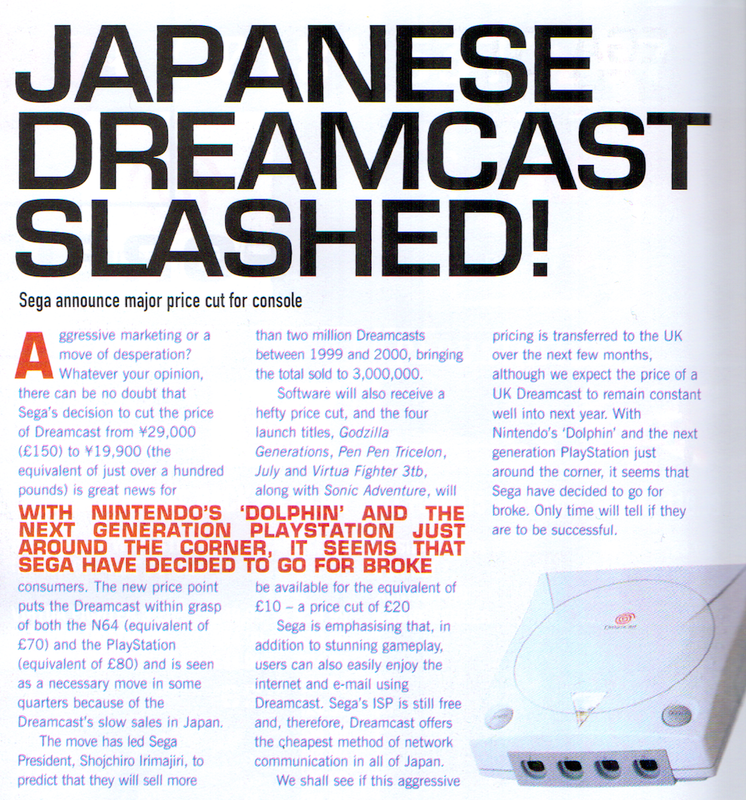 Bear in mind that Sega had sold over half a million Dreamcasts in the period since launch and you can see how low these figures were. 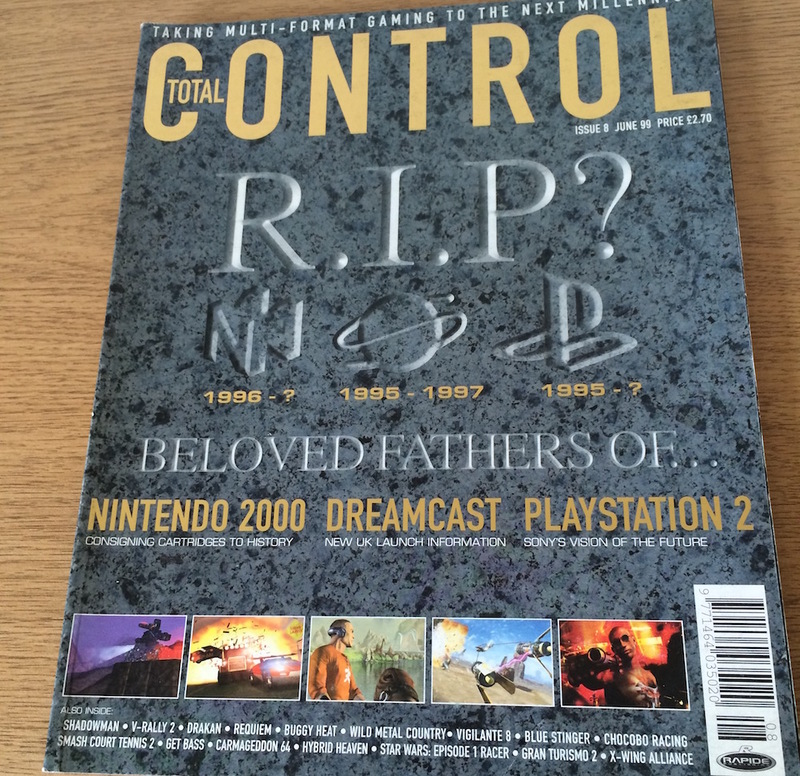 Anyway, Dreamcast reviews in issue 7 of Total Control include The House of the Dead 2 (77%), Power Stone (90%), Monaco Grand Prix 2 (86%), Pop ’n’ Music (70%) and Aero Dancing (61%). Other non-Dreamcast highlights include first news on Nintendo’s N2000 console and the Braveheart RTS from Red Lemon Studios. There’s a rare feature on gaming on the newly released Apple Powermac G3 400 and the briefest of glances at Driving Emotion Type-S on the PS2 (as yet untitled). Reviews include Aliens Vs Predator (PC), UEFA Champions League (PS1) and NFL Blitz (Gameboy Colour). 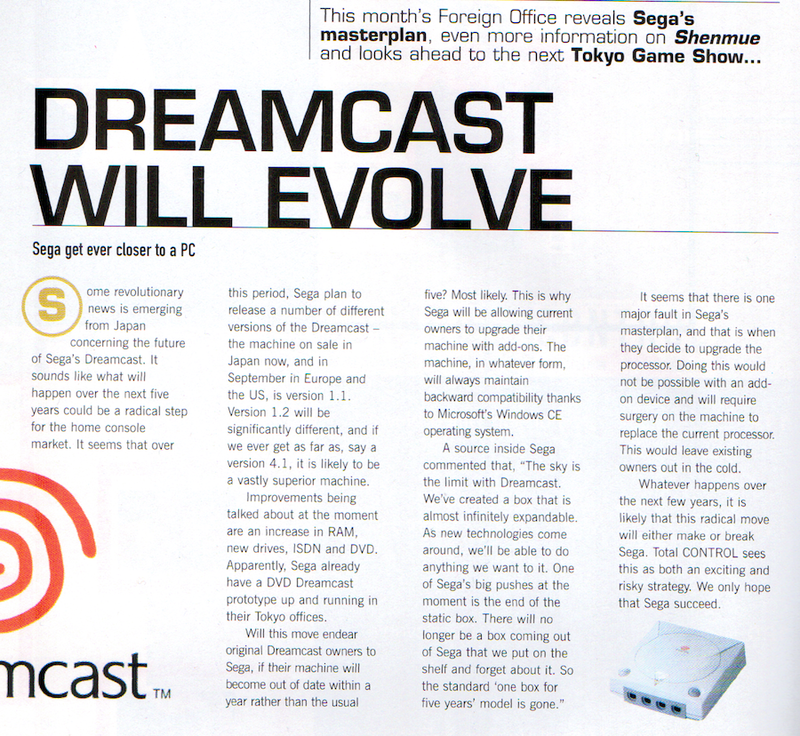 The first mention of the Dreamcast in issue 8 is very positive and quotes then CEO of Sega Europe, JF Cecillon as stating “…we believe that Sega Dreamcast will establish itself as the industry’s leading games console and will remain so into the next millennium.” Hmm. Again, top marks for optimism, Mr Cecillon. 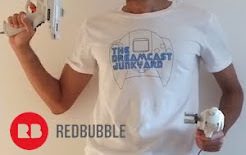 Velocity is revealed as Trickstyle, the DC hover-board launch title and there’s a tiny news item mentioning the upcoming E3 and Sega’s massive push to promote the hell out of the Dreamcast at the event. First news of Crazy Taxi’s Dreamcast port is revealed and the first main feature is for a subsequently cancelled PC/Dreamcast game called Jump Runner, a sprawling space-based RPG that looked very promising but ultimately never saw the light of day. 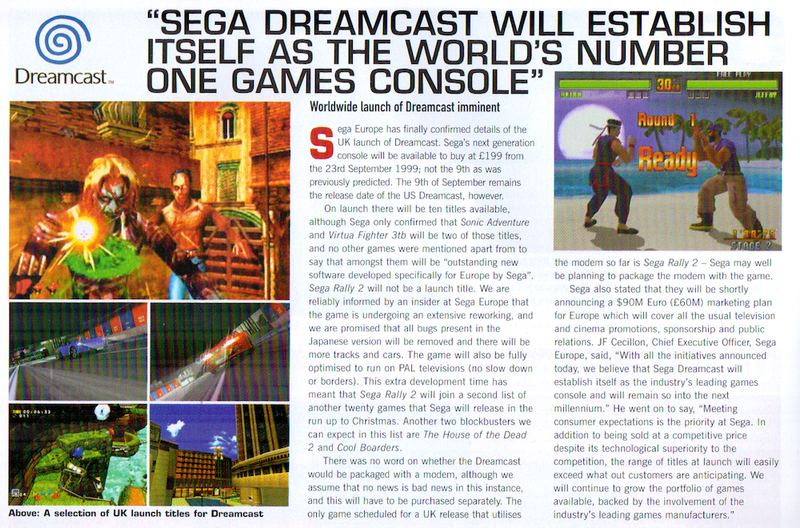 There are previews of Dead or Alive 2 and Buggy Heat and the centre ‘Dreamcast Vs PlayStation 2 Vs N2000’ pullout features a ton of Dreamcast stuff, including an interview with Shoichiro Irimajiri and more mini previews of a host of DC launch titles. 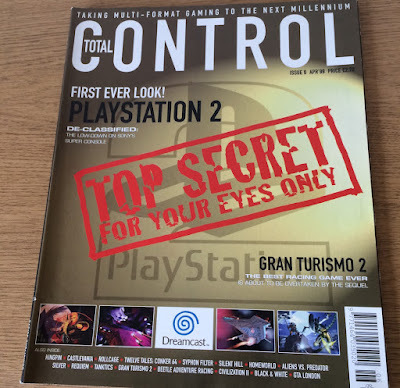 Naturally, the PS2 and N2000 sections consist of little more than renders and rumours, but they do make for some interesting reading if only for the wild speculation and inaccuracies. 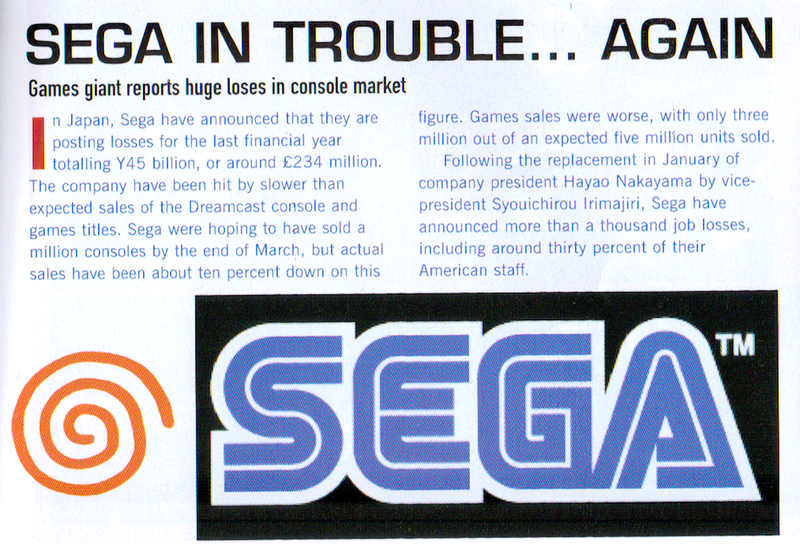 The Foreign Office section reports on massive losses for Sega Japan (totalling £234 million), mainly because less Dreamcasts were flogged than expected. Average survival horror game Carrier is previewed, and import reviews include Marvel Vs Capcom (80%), Tetris 4D (52%), Get Bass Fishing (59%) and Blue Stinger (78%). 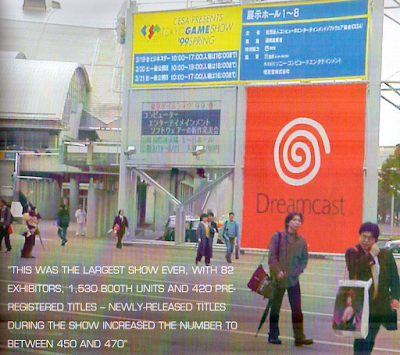 Not a good month for Dreamcast review scores, then. 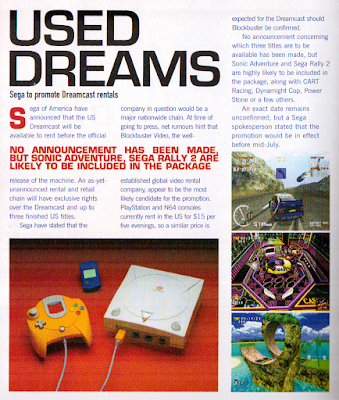 Other non-Dreamcast highlights include first news about Bleem! for the PC and an update on Rare’s N64 shooter Jet Force Gemini. There’s a big preview of Acclaim’s Shadowman and an 8 page feature on the history of handheld gaming. 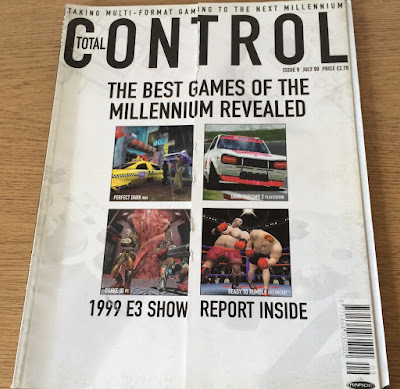 Another feature on the 50 most disappointing games of all time (spoiler alert: ET for the Atari 2600 is an number 1) and reviews of Vigilante 8 (N64), Wild Metal Country (PC) and WCW Vs NWO Thunder (PS1) round off issue 8. 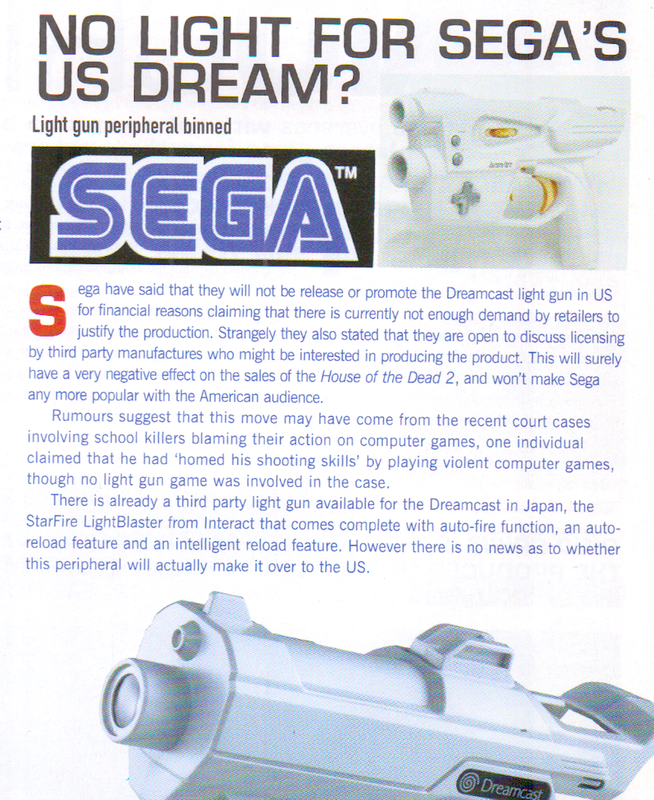 The initial news sections of issue 9 are not overflowing with Dreamcast stuff, but what’s there is quite interesting nonetheless. The first article deals with Sega’s unveiling of the European internet service for Dreamcast and the deal with BT (British Telecom) which ironically lead to the launch being delayed until October due to network issues. Following that, there is some information on the Sega/Schlumberger Smart Cards deal which would allow Japanese gamers to use pre-paid cards to play arcade games in selected locations. 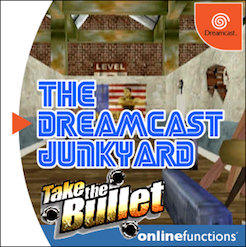 Not really Dreamcast news, but there was speculation that this would be implemented with the console in some way, allowing you to purchase or transfer game content between the home and coin-op systems. 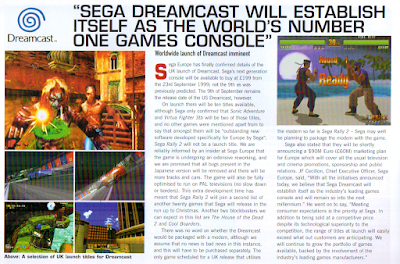 The next mention of the Dreamcast doesn’t come until the E3 1999 pull-out which is full of reports from the show floor, with highlights including solid details on Ready 2 Rumble, Mortal Kombat Gold, Hydro Thunder, Soul Calibur, Shenmue and Maken X. 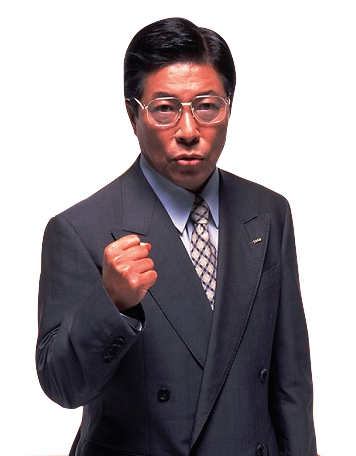 The Foreign Office leads with the news that the price of the Dreamcast has been slashed from £150 to ‘just over £100’ in Japan and also previews Ecco: Defender of the Future for the first time. 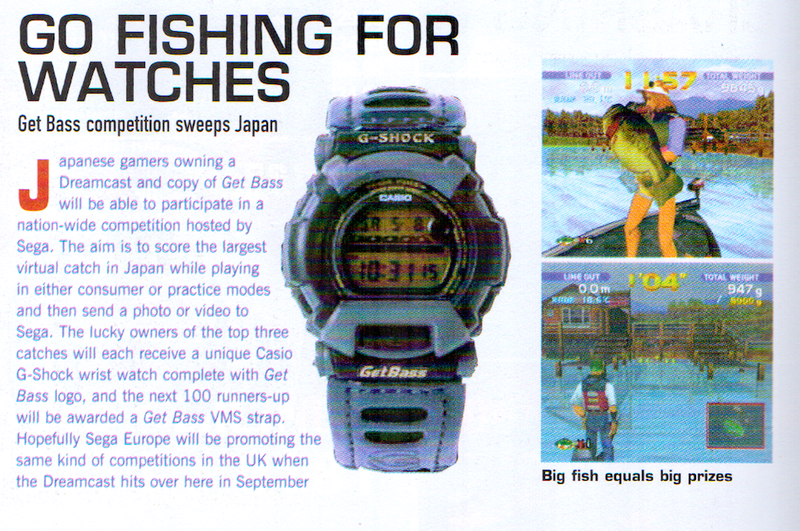 The final piece of Dreamcast news in issue 9 busies itself with a Sega Bass Fishing competition sweeping Japan with the top prizes being an exclusively branded Casio G-Shock watch. 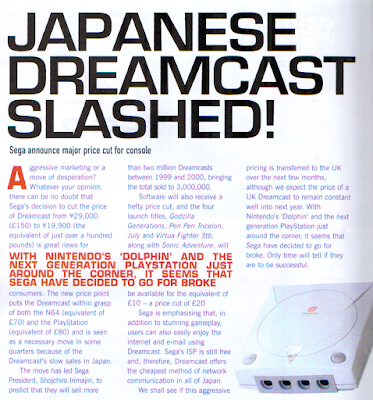 Other non-Dreamcast highlights include all the other E3 1999 stuff, the reveal of the Nintendo Dolphin (aka Gamecube) tech specs and a feature on age ratings on video games. 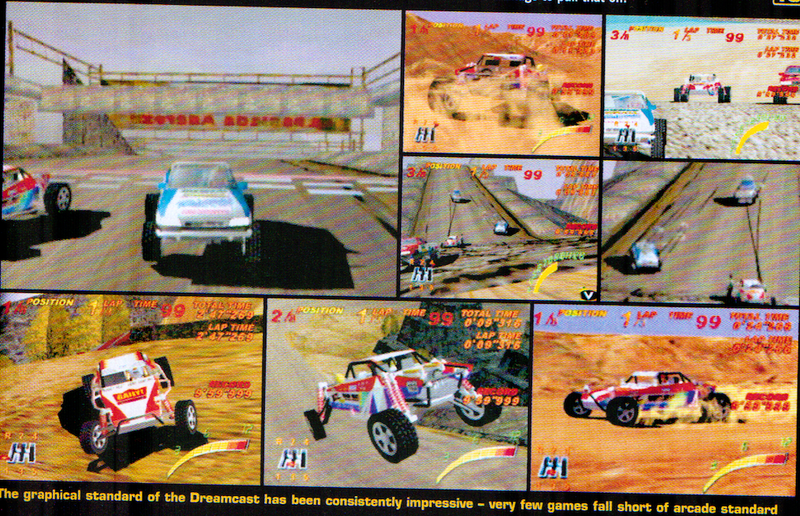 Reviews include Gran Turismo (PS1), Hidden & Dangerous (PC) and Star Wars Episode One: Racer (N64). 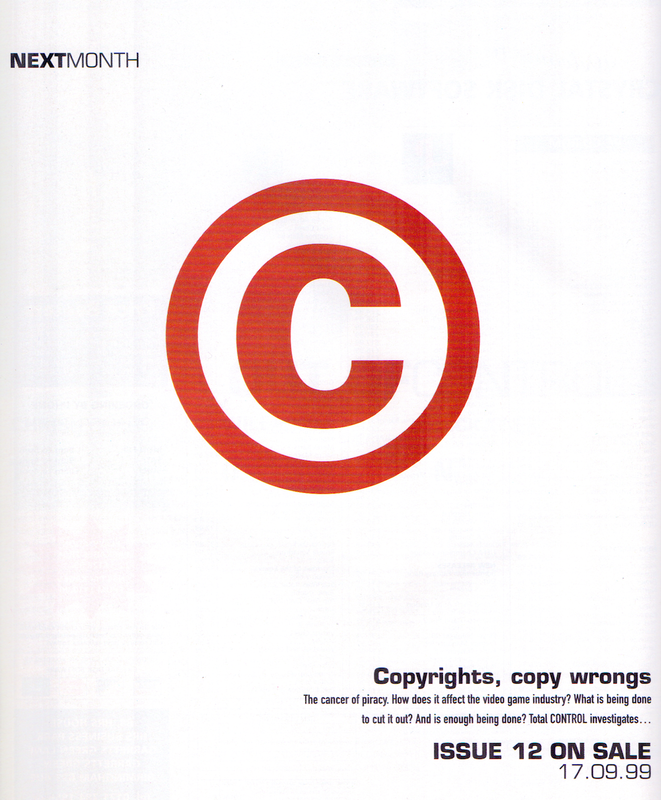 Although issue 10 leads with a massive Pokemon story, the first thing you see when you open the cover is a double page Sega-Europe Dreamcast advert in the style of the US ‘Planet Earth’ ads. 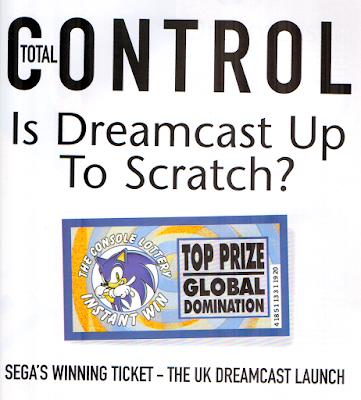 With just months to go until the western launch, this was clearly a battle cry from Sega. 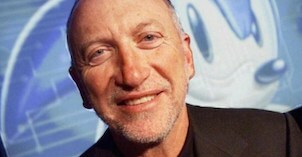 Baldur’s Gate is announced as confirmed for the Dreamcast and Sega’s sponsorship of several European football teams is confirmed. There’s a five page feature looking at Trickstyle and Soul Fighter is previewed later. 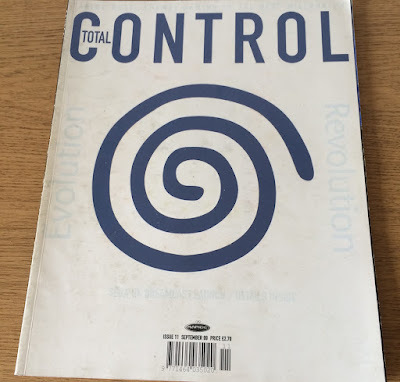 Apart from these stories, issue 10 of Total Control is pretty light on Dreamcast content but the Iomega/Sega zip drive partnership is announced and Sega of America’s intentions to allow Dreamcast consoles to be rented are revealed. Resident Evil Code: Veronica is previewed and Dynamite Deku 2 (the first game I ever played on the Dreamcast, incidentally) is reviewed, receiving a fairly lukewarm score of 54%. 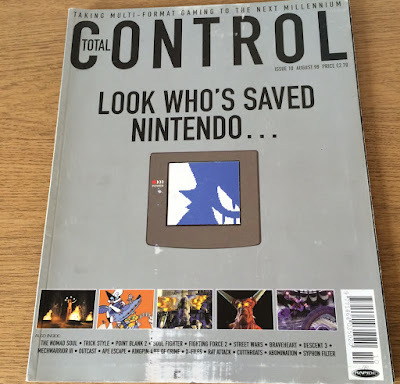 Other non-Dreamcast highlights include the Pokemon pull-out explaining the Nintendo phenomenon from Japan, and a feature looking at the development of The Nomad Soul. The other major feature in issue 10 is a six page History of PlayStation and reviews include Ape Escape (PS1), F1 World Grand Prix 2 (N64) and Decent 3 (PC). The big one. The motherload. 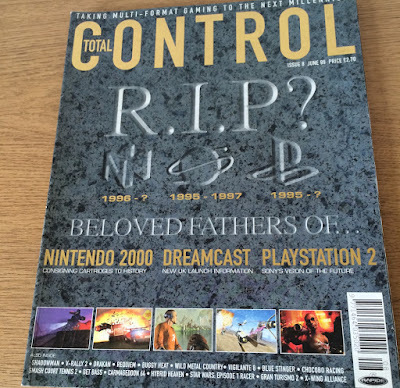 The Dreamcast issue, and ironically the final issue released before Rapide Publishing went into meltdown. The first thing you see (obviously) is the massive blue PAL Dreamcast swirl along with the words ‘Evolution’ and ‘Revolution’ and tagged with ‘Sega UK Dreamcast Launch - Details Inside.’ While this is still a multi-format magazine, Total Control issue 11 is literally stuffed with Dreamcast content and it begins immediately with an image of the infamous Barber on the editor’s intro page. News about No Cliche’s Toy Commander and Agarth (aka Agartha) are first up, followed by news that the recent price drop in Japan has catapulted the Dreamcast to the top of the sales charts over the PlayStation and N64. News that Shenmue may span two GDs is mooted and Rage Software’s UEFA Striker is given a huge six page preview which includes a developer interview. 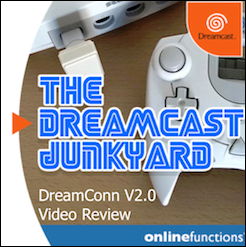 Next up is the main event: a sixteen page Dreamcast launch extravaganza detailing everything anyone could want to know about the new console - hardware specs, launch titles, peripherals and upcoming titles. 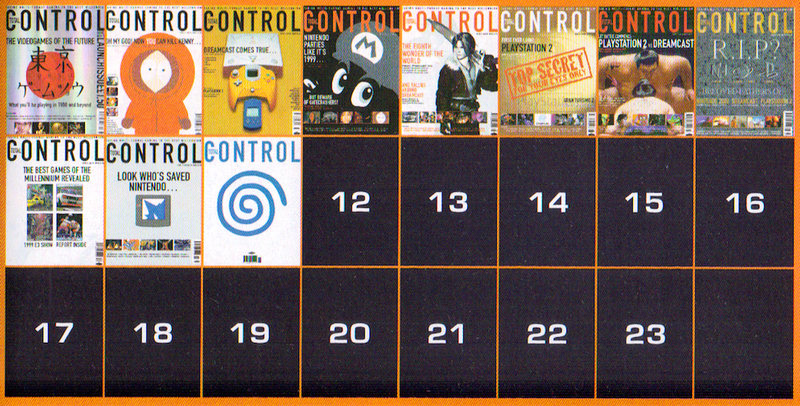 There’s even a section looking at Sega’s sponsoring of UK concerts such as Party in the Park and the roping in of 90s celebrities like Boyzone, S-Club 7 and members of the Eastenders cast to promote the console. 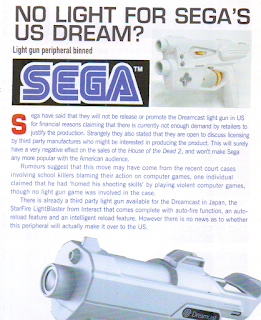 The Foreign Office continues the trend with previews of Ecco and the news that Sega would not be releasing the light gun in the US due to financial reasons (and not because of gun crime, as is commonly believed). 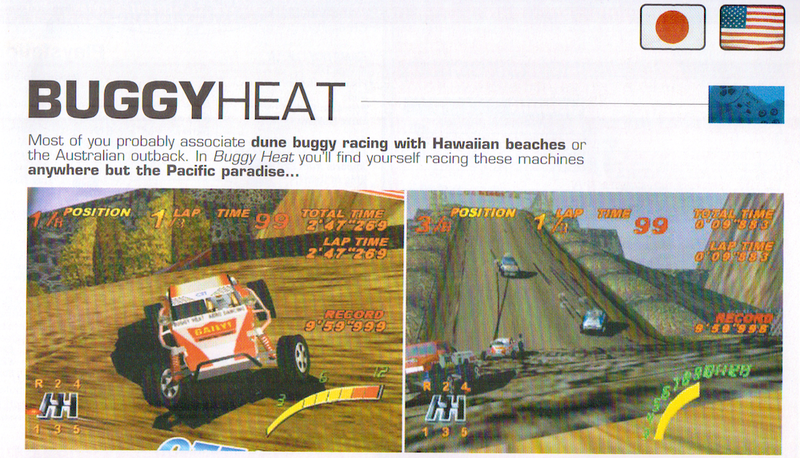 Reviews of Giant Gram (60%) and Buggy Heat (87%) round off this Dreamcast-tastic issue. 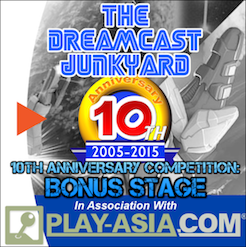 Other non-Dreamcast highlights include features on Wip3out and the future of arcades. 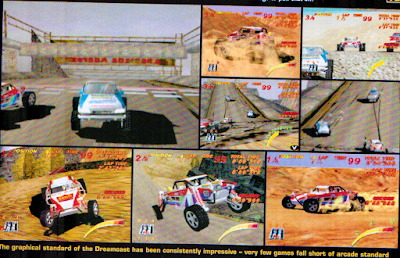 There are previews of Armoires, Rally Championship and Resident Evil 3 and reviews of Quake 64 (N64), Driver (PS1) and Jagged Alliance 2 (PC). 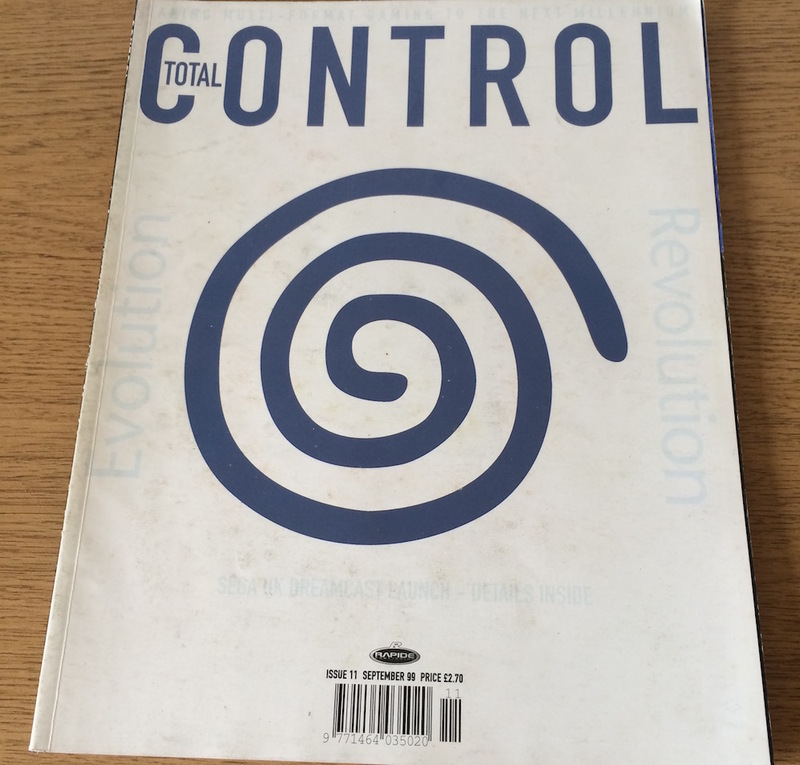 That it was also the final Total Control is particularly poignant, but it brings to a close the run of 11 fantastically Dreamcast-heavy issues is quite fitting when you think about it. 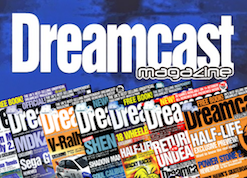 No other multi-format magazine (at least in the UK) crammed so much Dreamcast content between its pages and it is probably for that reason alone that I bought so many issues back when it was contemporary. At the time I was an expectant young oik looking forward to the Dreamcast launch and frantically trying to sell my N64 to fund the purchase, and Total Control was a truly brilliant source of information relating to all systems. 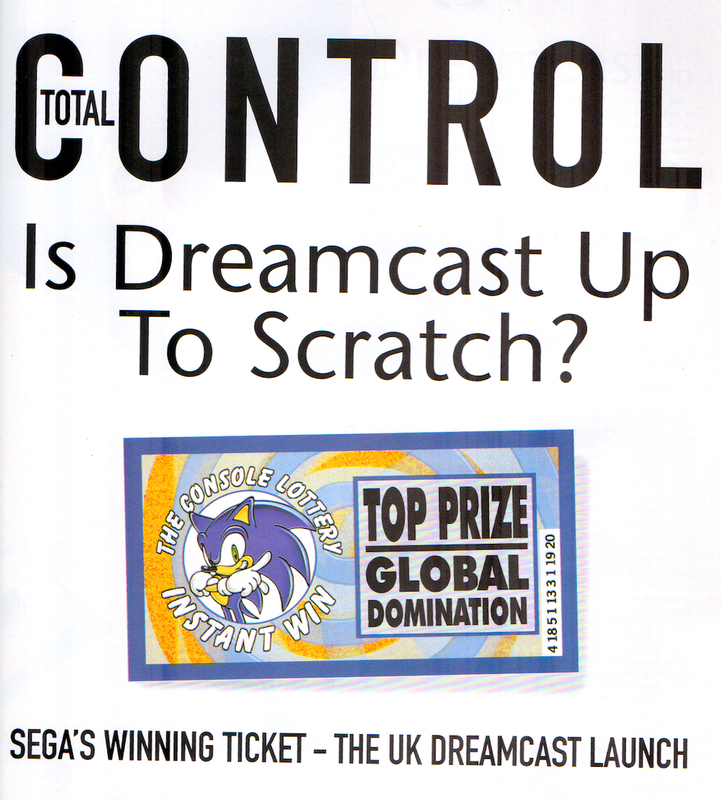 When it ceased I was a little dumbfounded not to find it in the newsagents anymore but I simply moved on to stuff like Dreamcast Magazine, Official Dreamcast and DC-UK, not giving a second thought to those newly-unemployed folk who had entertained me for so long through the pages of Total Control. 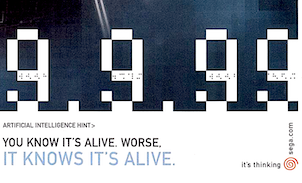 Very little is known about issue 12, but what we do know is that it was pencilled in for release on the 17th September 1999. In issue 11 there's a 'next month' advert (below) that hints that the main feature would be a look at copyright issues in gaming, and it states that topics such as piracy would have been touched upon. Oddly, that's the only feature listed as coming in issue 12 and Rapide closed its doors before the issue went to print. There would more than likely have been even more Dreamcast reviews too, probably re-reviews of the PAL Dreamcast launch titles and whatnot. 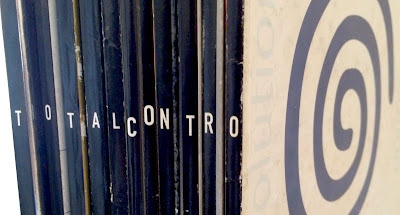 Interestingly though, Total Control issue 12 isn't the only enigma to come from the closure of this Exeter-based publisher, and hopefully in the near future we'll be able to shed some well-informed light on this tantalising exclusive. I know I'm being deliberately obtuse, but the next instalment, or rather the 'footnote' to this saga is just as fascinating as anything we've yet covered. 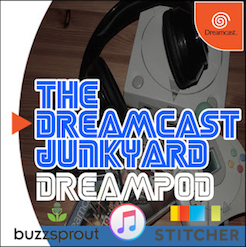 Even more so if you're a fan of true Dreamcast-related mysteries...watch this space! 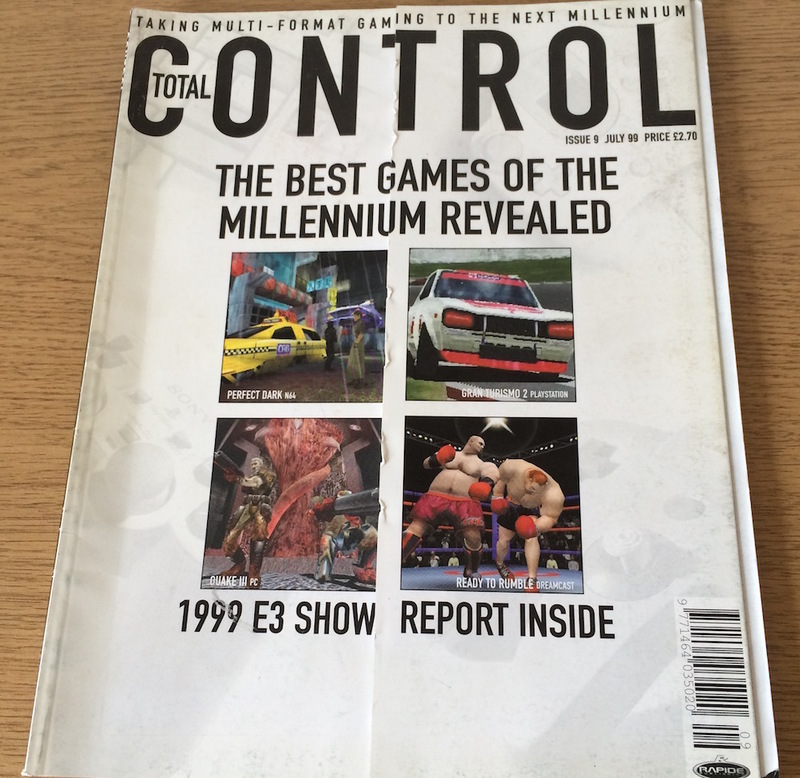 Once again, thanks to Matt from SegaMags for these issues of Total Control. 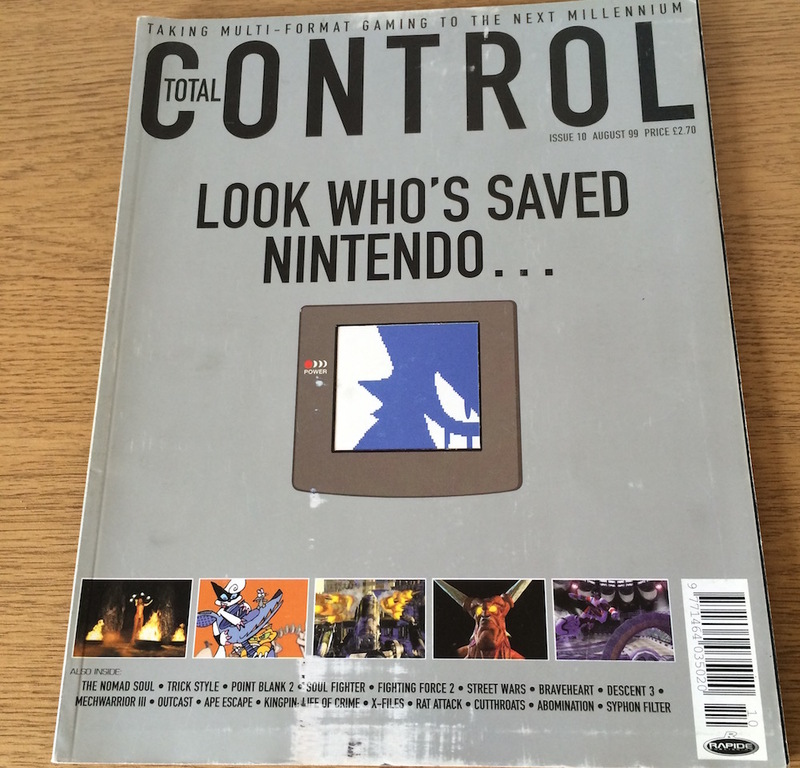 If you have even a passing interest in the history of UK video games magazines, you should check out his site here. 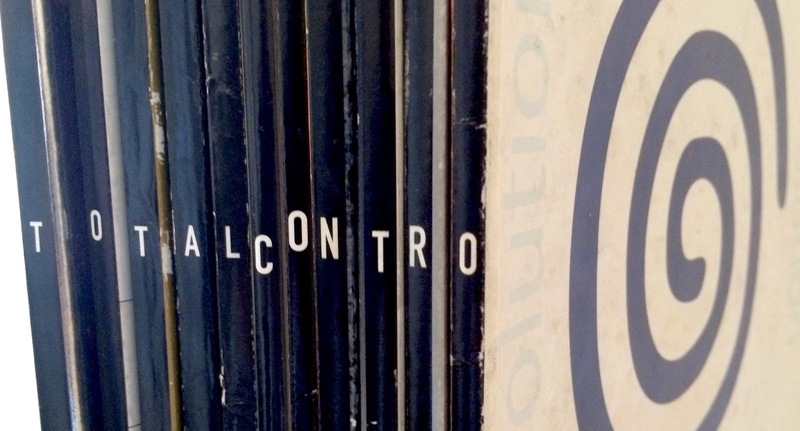 Some other resources for old magazines are Old Game Mags, Out-of-Print Archive and Retromags. I'm sorry, I have no control over what Feedly shows. The main URL is working fine from what I can see. Oh I know, I just thought it was funny the possibility of the DC Junkyard putting up an article on the merits of NTR / cuckoldry. Amazing article Tom! 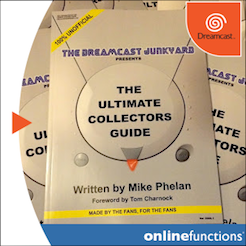 I can't believe that the dreamcast 'jump pack' from issue 11 has a screen on it and doesn't need batteries!..... Wait a minute! flan puddi - I had to Google 'NTR' to work out what you meant haha! I have all 11 issues, it was the best multi format mag I ever read. 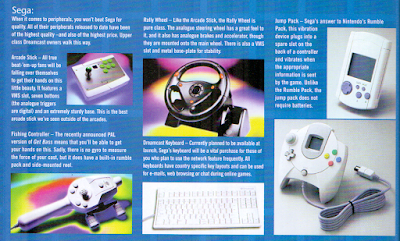 Similar to its rival Arcade but better written with a strong import section.